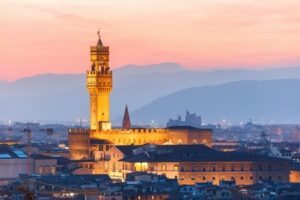 A Florida-based client wants to go to a retreat in Tuscany, Italy in September, followed by a few days in Florence, with accommodations near the Duomo in the Historic district so she could do all her sightseeing by walking. Sounds divine, right? Oh did I mention she is also gluten-intolerant? I found her a great flight with the shortest lay-over in Zurich, a wonderful range of accommodations to fit her budget and yes, a selection of gluten-free restaurants in the Historic district where she can celebrate her 60th birthday. I also suggested she carry a card to all restaurants that said: “Senza Glutine” aka gluten-free. She’s anxiously awaiting her upcoming trip knowing she’s now got a plan in place that meets all of her needs.